Preheat the oven to 180C. Put cases into a muffin tin. In a mixing bowl, beat together the butter and sugar until light and fluffy. Beat in the eggs, one at a time, then beat in the baking powder and cocoa powder. Gradually add the flour and beat until very smooth. Fill each case two thirds full, and bake in the oven for 20 – 25 mins until they spring back to touch. Remove from oven and leave to cool on a wire rack. In a medium bowl, melt the chocolate and beat with soft cheese and icing sugar, until you have a smooth and fairly stiff mixture. 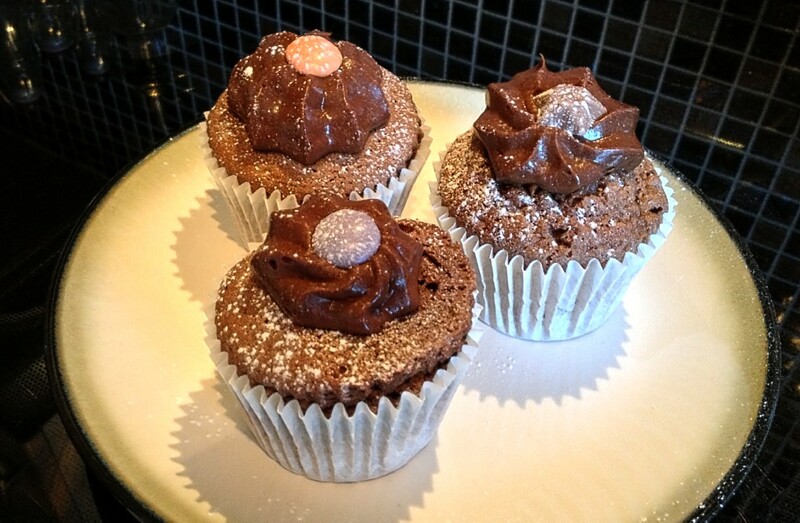 Using an icing bag, pipe the mixture on to the cupcakes in your own way and decorate.